Appsessment has been updated to version 2.2 and in this maintenance release we have included the following new features. When you are sending Private Messages to your App contacts, you can now select contacts based on their groups instead of choosing the person one by one. This way, you can quickly select all educators or educators based on their rooms, parents based on their child or their child rooms or based on days of attendance. 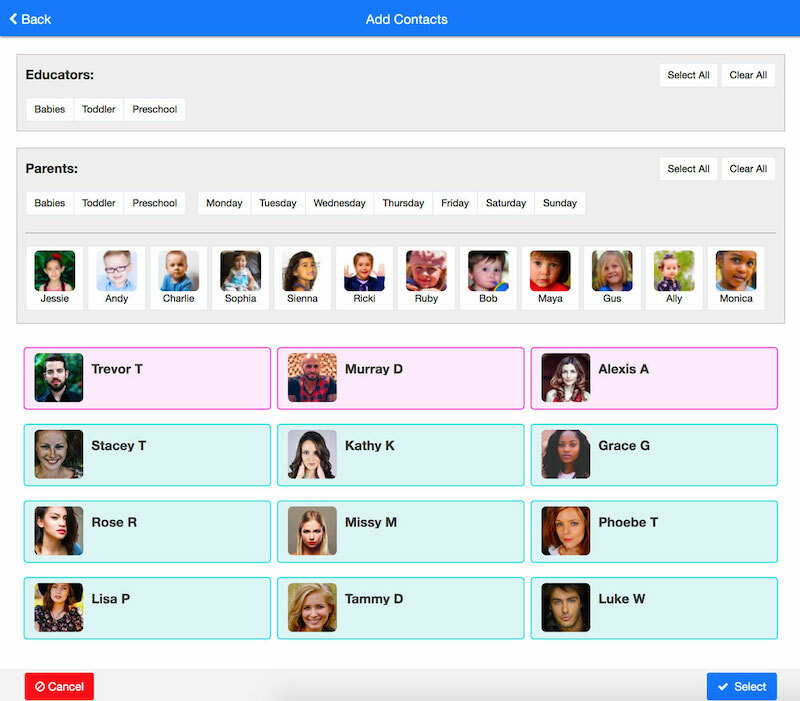 There are various filter options available that will make it easy for all educators to quickly select multiple contacts when sending Private Messages to groups. We have now included the settings to enable or disable Private Messages in your App so you can control it whether you want to allow educators and parents in your App to use this messaging feature or not. If you want the Private Messaging feature to be available for educators only, then you can safely disable this feature for parents and use it for educator communication alone. When you go to your App's Admin Panel -> Settings -> App Settings, you will now see 2 additional settings options to allow private messages to educator and parents. Parents can now discard Parent Input requests that appears in their Timeline if they don't want to complete it. This way, the parent input reminder will not keep appearing in their Timeline after each login. We have included other maintenance updates to both our Mobile App and Web App. This includes enhancements of mobile app uploads for broader device compatibility, optimised iOS mobile app with download size reduced by almost 50%, emoji support to private messages, removing linked rooms in educator profiles, report filters adjustments and more. We hope you enjoy these new additions to Appsessment. If you are yet to try Appsessment, you should give it a trial now. Appsessment has come a far way with so many new features that assist educators in every day documenting as well as interacting with parents directly from your Service App, automatically manage children profiles, receive parent inputs, share videos and photos, generate reports and do so much more. Appsessment is specifically developed for Long Day Care Centres, Family Day Care and Before & After School Care services. Our plans starts at just $10 a month and you should give it a trial. Once you get used to it, you will be amazed to see how unique Appsessment is and how easy Appsessment manages all documentation for you at your centre. Click here to get started.